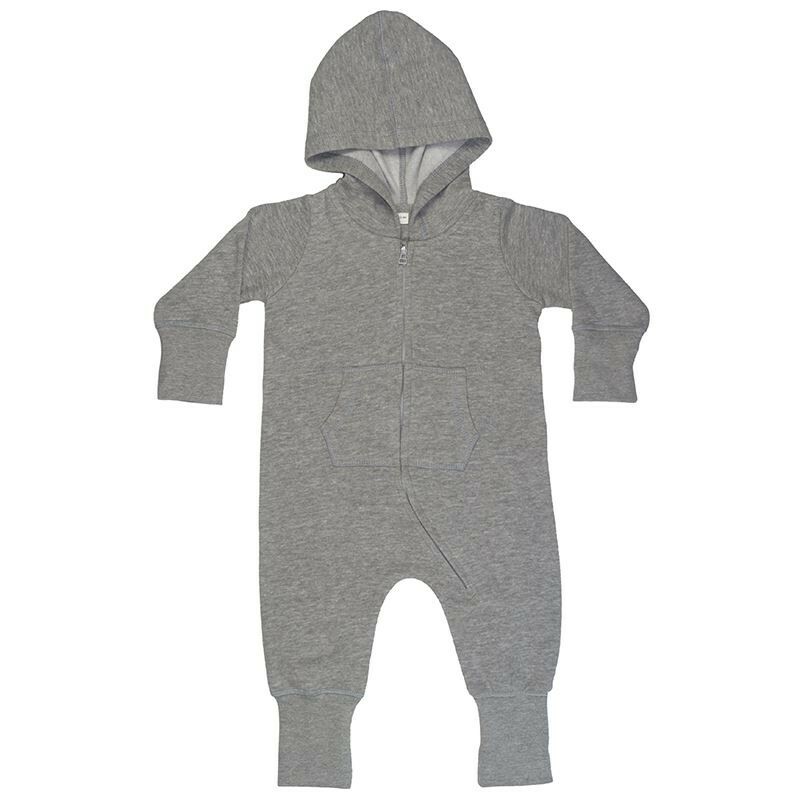 Baby and toddler All-in-one with cosy and soft brushed inner, and both 3 piece hood and extra-long cuffs (which can be folded back or left longer) for optimum fit. No centre back seam for increased decoration potential. Comfort tabs at top of zip. 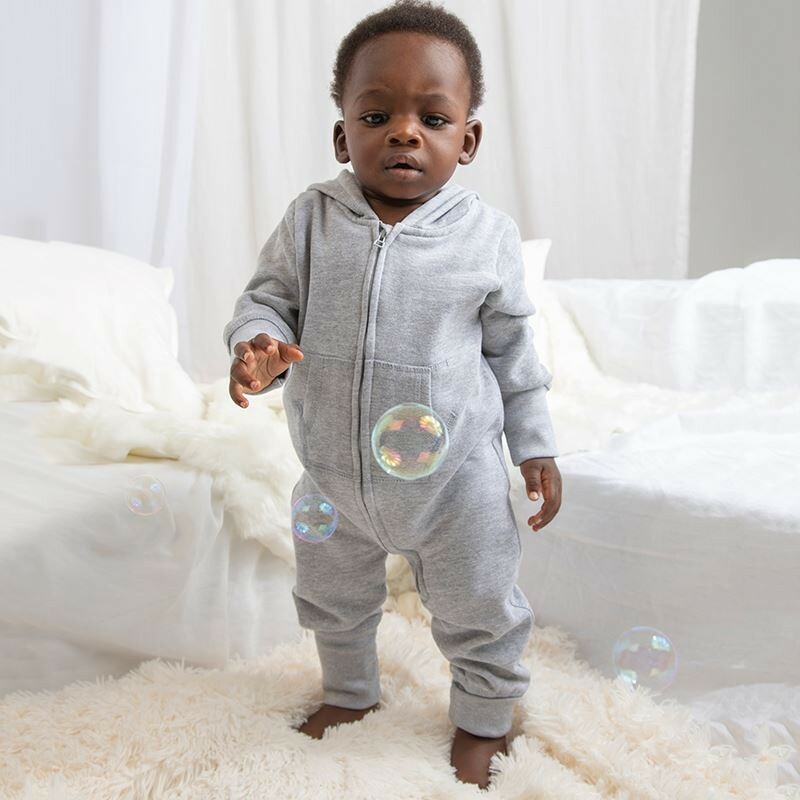 Oeko-tex® class 1 approved fabric. Brand-free back-neck area with tear off size and style label only.